While Cuba may boast the best education system in Latin America, it is one of the least connected. Limited bandwidth, censorship, and prohibitive costs equate to an internet penetration rate of 3% of the population. ETECSA, the state-owned telecom monopoly has vowed to increase internet access by building cyber centers throughout the country. However, the $2-4 USD per hour required to gain access is prohibitively high in a country where the average worker earns $20 per month. Wi-Fi and satellite internet are technically illegal and Cubans found in possession of this equipment are subject to steep fines. Recently in the news, Alan Gross, a US aid worker, was jailed for trying to smuggle in satellite equipment which would’ve been used to connect the country’s small Sephardic Jewish population to the internet. In the city of La Habana, Cubans have fought back and created a makeshift intranet known as StreetNet (SNet). Via hidden Wi-Fi routers and low hanging cables the network has grown to include 9,000 nodes throughout the city. During specific hours, users can download TV shows, music, and newspapers as well as organize gatherings and events. The network is self-governing and discussion related to politics and religion is off-limits. These mesh networks have begun surfacing among all the nation’s metro areas. For those who aren’t able to connect to local intranets there is a thing called the paquete semanal. The packets are actually USB cards packed full of digital information. Users bring their USB drive to a distributor who loads the information, usually for a small fee. The packets provide an escape for Cubans who would normally have access to only four, state-run, TV channels. Like most communist economies there is a thriving black market in Cuba. Many people earn a far larger income from illegal business than from state salaries. This underground economy has led to the development of sites like Revolico.com and Cubisima.com which are the Cuban equivalents to Craigslist.org. Since internet access is scarce, many Cubans sync updated versions of these sites to USB drives weekly. A quick search on Revolico for “Bitcoin” produced one classified ad for someone wanting to buy Bitcoin for CUC (Cuban convertible pesos). However, the price offered per BTC was far below the normal spot price at 150 CUC per coin (about $150 USD). 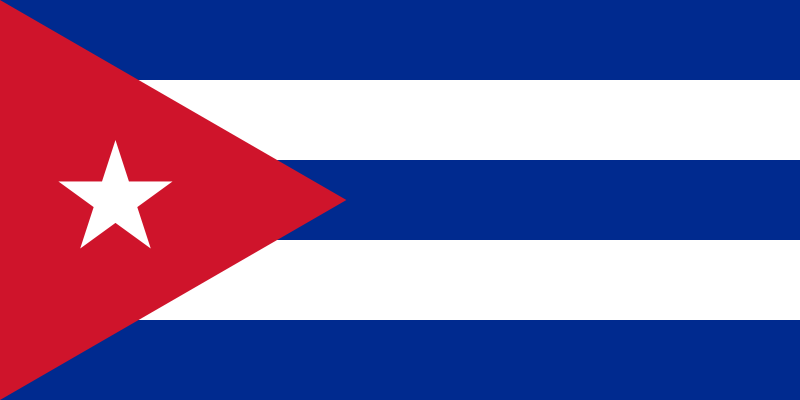 The lack of internet access makes Bitcoin adoption difficult in Cuba. Because there are almost no broadband connections downloading a copy of the 30 gigabyte Bitcoin block chain would take a very long time. The best solution is to have a pre-synced version of the Bitcoin-QT client. The pre-synced version could be distributed on USB drives in a manner similar to the paquete semanal. Someone with access to the global internet could then download (or receive a copy via mail) the updated version of the block chain and distribute it via the country’s localized intranets. From there, average users with access to large intranets could sync their client to the Bitcoin network’s by downloading updates. For the process of remittances, Cubans need only to provide their relatives abroad with a public Bitcoin address that they control. Bitcoin sent to the address would then be received once the updated version of the block chain is synced. However, once received, the process of transferring Bitcoin would prove more difficult and would require an actual internet connection. The Bitcoin community is small but passionate. A Bitcoin “full node” operates intermittently on the island. Recently, I had the pleasure of conversing with Joisy Garcia, a founding member of the Club Anarcocapitalista de Cuba (CAC). He told me that Bitcoin is very new in Cuba and any type of help /advising is welcome. Since accepting BTC donations, the club has raised 850 mBTC ($206 USD). There is also a Twitter handle entitled @BitcoinCuba which accepts donations. With the Castro reign ending and diplomatic relations between the US and Cuba renewing, we are sure to see dramatic change in the near future. Both governments have emphasized their goal to make Cuba better connected to the global economy. In the future, because of the high education level, human capital will become one of Cuba’s biggest exports. Bitcoin will help average Cubans monetize their talents in ways unimaginable today. It is the un-bureaucratic, apolitical solution they’ve been waiting for.